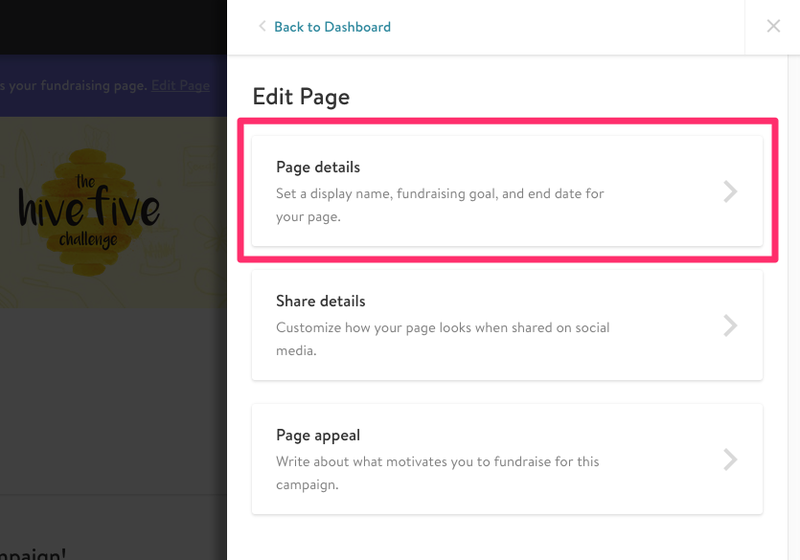 How Can I Edit My Fundraising Page URL, Goal, End Date, or Social Sharing Image? 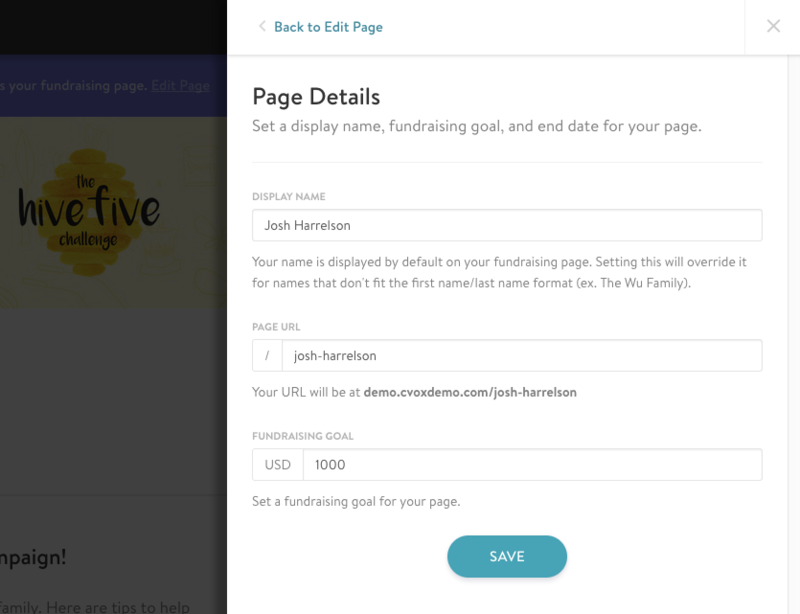 To edit your fundraising page Display Name, Fundraising Goal, End Date, Page URL, or Social Sharing Image, select Edit Page. 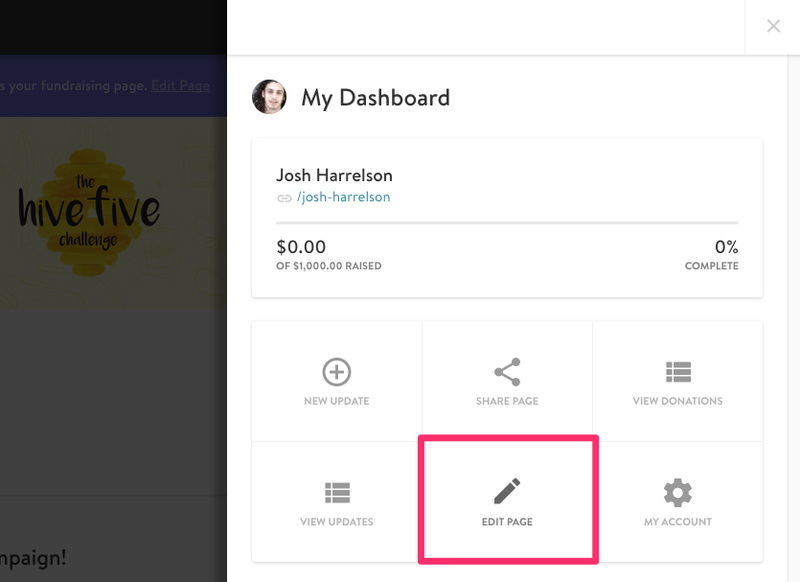 You can edit your fundraising page's display name, end date, fundraising goal, page URL, select "Page Details." The Page URL: This is the link to your Personal Fundraising Page. We advise our users to keep it short so that it is easy to remember. Goal Amount: You can specify your donation target here, i.e the amount you intend to raise for your campaign. End Date (if applicable): To maintain an end date is optional. You can specify an end date for your individual fundraising effort, or keep it in line with the date specified on your campaign’s main site. 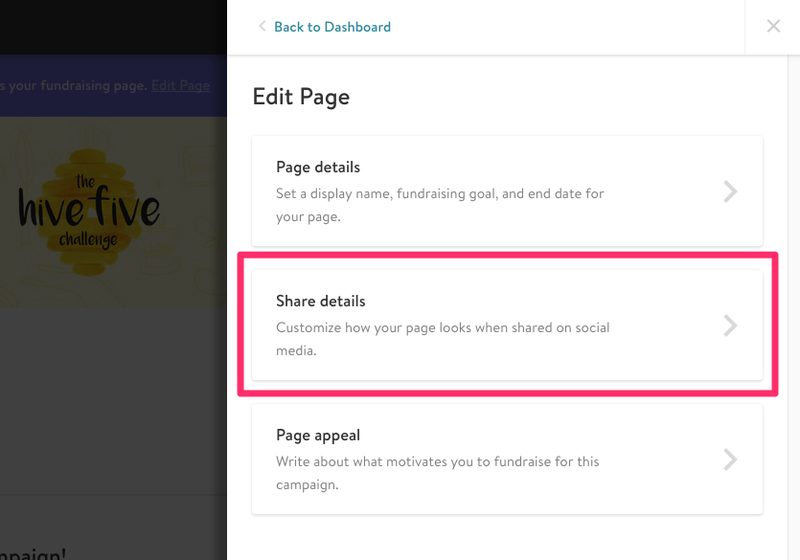 To edit your social sharing image, title, and description, select "Share Details." 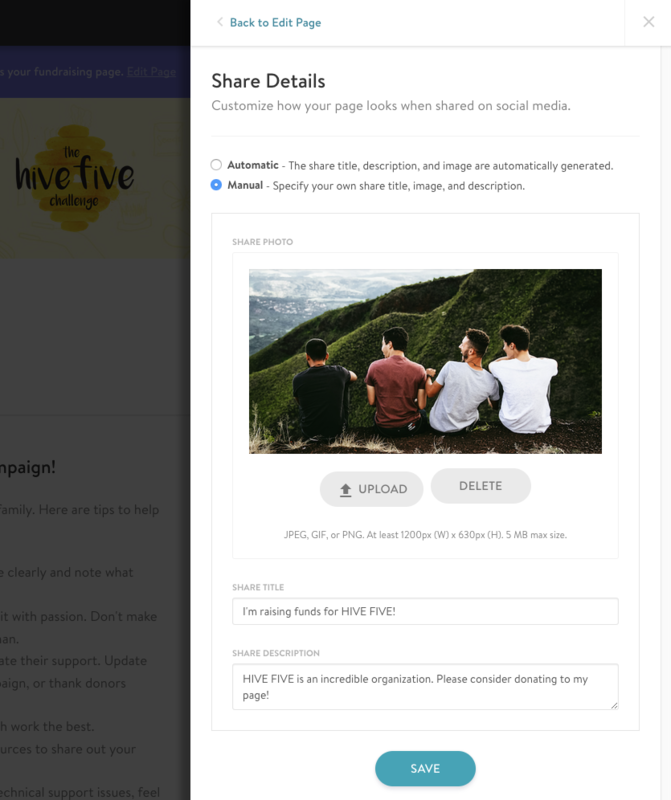 Once on the page, select "Manual" to upload an image, title, and description that you'd like to be seen when your page is shared on social media.